Background: Whitsell was the first true star in New Orleans Saints history. While Doug Atkins was outstanding, Billy Kilmer became a leader and Danny Abramowicz would shock everyone to become a superb player, Whitsell was an instant star. The Saints chose him in the expansion draft. 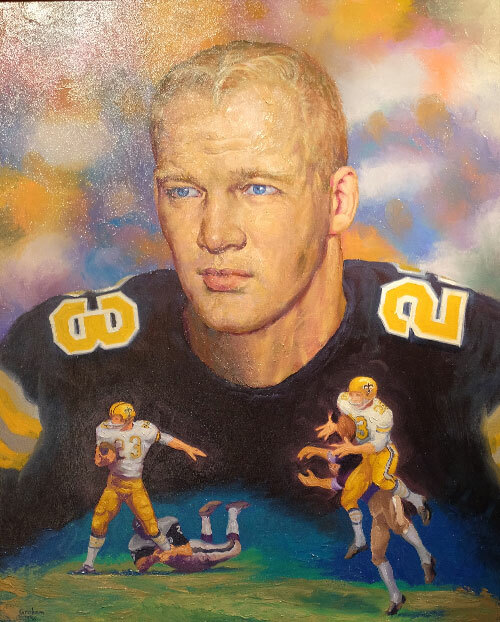 While he was not as celebrated as the additions of Jim Taylor, Paul Hornung and Doug Atkins, Whitsell was the most significant addition of all initally. He led the NFL in interceptions in 1967, the inaugural Saints season, with 10 picks, two of which he returned for touchdowns. He had an outstanding 12-year career in the league with Detroit, Chicago and New Orleans. He was an integral part of the NFL championship season with the Bears in 1963, intercepting six passes. He followed up his outstanding 1967 season with another outstanding season in 1968, intercepting six passes. He had three interceptions in 1969, when he was still an excellent player, before announcing his retirement. He finished his fine career with 46 interceptions. Whitsell and his wife Jackie and family made their home in Kenner, where he passed away in 1999. Greatest Moment: After opening the inaugural season 0-7, the Saints would finally get that elusive first win. 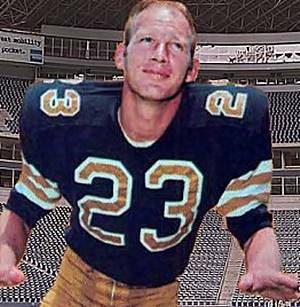 Whitsell returned an interception of a Norm Snead pass 41 yards for a touchdown as the Saints won their first game in franchise history, downing the Philadelphia Eagles 31-24 at Tulane Stadium on Nov. 5, 1967. Honors: Whitsell was inducted into the Saints Hall of Fame in 1996, made the Pro Bowl in 1967, was named first-team All-Conference and second-team All-NFL in 1967. He was also inducted into the Western Michigan Hall of Fame in 1989.